Miscarriage. The word alone kind of stops you in your tracks. Never mind having to breathe it aloud in front of others, all the while trying not to cry. Even a month later, my miscarriage stings. But sadly, what usually makes matters worse, is how other people speak when they learn that you've miscarried. I realize that 99% of this is done because people care... they want to be positive, helpful, and kind. In reality though, many of these words -- even those said with good intentions -- wind up making a woman sad or angry all over again. So, as a bit of a public service announcement, I thought I'd put together a guide of what you should and shouldn't say to someone who has miscarried. 1. "Well, at least you know you can get pregnant." I realize that this, like many others on this list, comes from a good place. But knowing that I can "get" pregnant doesn't have anything to do with the pain I'm feeling now. That's like having your dog die and then someone saying, "Well, at least you can raise a dog." While true, it doesn't do anything to staunch the pain you are currently feeling and it implies that the person should be overflowing with gratitude instead of mourning their loss. Stay away from this one. 2. "Be thankful you weren't further along." In a way, you're right. I am grateful I was only in my first trimester, but said above, that doesn't really "help" ease my sadness or anger. In fact, it implies that there are strict "levels" of sadness and that my case somehow doesn't qualify as "bad enough" to feel the way I feel. No one wants to be told, especially during their grief, that they aren't justified in it. No one. 3. "Did you miscarry naturally? Did you have to have a D&C? How did you know it was happening?, etc." This category is basically for all those inquisitive types. In a way, I get it. If you've never gone through a miscarriage, as woman, you might genuinely be curious. Or maybe you know a few stories from friends and you want to compare... But listen to me closely when I say this: It is beyond rude to ask every detail. Seriously, this one completely baffles me. If someone wants to share the details with you... they will. They will do this without prompting and they will do it in their own time. In fact, telling the entire story to a few friends of mine has been very cathartic for me. But just because I'm open to telling Jane Doe about my experience doesn't mean I want to tell Jenny Sue. Nothing has made me more irrationally mad to date than people asking me super personal questions about my experience. Nothing. 4. "It wasn't really a baby yet, so that's better." Look, I'm married to a scientist. I get it. A "baby" isn't biologically more than a mass of cells until past a certain period of time. I also understand that not making it out of the first trimester means, more than likely, that what I carried wasn't healthy and due to something beyond my control, like a chromosomal abnormality, it would never have survived either in the womb or outside of it. But to me... to those like me... emotion beats logic and reason in this particular case. I already know these things. My doctor has told them to me. Logically, I understand all of this. But emotionally? Well, that's another story. So while you might think this is comforting, it isn't. So save us all a biology lesson and don't mention this. 5. "Don't worry. You can have another baby." or "You'll forget all about this when you have a happy baby in the future." Let's revisit the dog scenario shall we.... If you lost a pet, does getting another one take away all the pain of losing that one? Of course not! But somehow we assume that simply because a mother never got to meet her child, all of her pain should vanish when she successfully carries a pregnancy to term. Newsflash -- it doesn't. Saying these things only remind the woman that most of the world will never recognize her loss for what it truly was... devastating. So keep these types of comments to yourself. 6. "Did you know...." After a miscarriage some people find comfort in knowledge. A lot of women will scour the internet and online forums to ask questions about other miscarriages and absorb every bit of data they can. Most women will, in fact, have a conversation with their doctor about the health implications of a miscarriage. In this conversation, their doctor -- a medical professional -- will tell them all the stats, the research, and the odds moving forward. Because most women are already armed with this type of knowledge, they don't need to hear it over and over again. For me personally, it got really annoying for people to keep telling me all the pieces of information they dug off the internet about miscarriages. They would tell me the most likely cause of my miscarriage and tell me that my odds of carrying my pregnancy to term were high. While all of that may have been true... I already knew it! And as rude as it might sound, hearing it for a 50th time from someone who is not a medical professional is absolutely no help at all. Again, I realize that some people may jump to these types of stats to comfort a woman but know that she has likely heard it all before... lots of time and probably from people better qualified than you. So instead of giving her a fertility lecture, just try to be comforting and supportive in other ways. 1. "I'm sorry you are going through this. Let me know if you need anything." This is beyond nice to hear when you are in the thick of things. It's nice to know that someone is sad that you are having to deal with such a rotten hand of cards. Of course there isn't anything that anyone can DO to make it better, but just hearing that someone cares enough to want to help is a Godsend. 2. "If you ever want to talk about it, I'll listen." Can I get an Amen on this one? One of my closest friends has been wonderful and letting me talk when I want to and always on my own terms. She meets me for drinks when I need them and she picks up the phone and calls me when she suspects I need to vent or cry. But she never prys or insists that I tell her every detail or feeling I'm having. Instead, she let's me know that she is there to listen and that alone makes her my "go-to" for support. If you can be this rock for someone... be it! It is by far the BEST thing you can do. 3. "I have my own miscarriage story or have heard one from a friend that I will share if you ever want to hear it." Sometimes, hearing that other people have gone through the same thing and come out of it for the better is very comforting. However, you aren't always in the mood to see the light at the other end of the tunnel. Like with any mourning, sometimes you just need to absorb the sadness for a bit. So, I personally think it is best -- if you have such a story to share -- to always ask whether the woman wants to hear it. Honestly, somedays, hearing miscarriage stories have been helpful and healing for me. On other days, they've have driven me into a very dark place when prior to the stories, I was actually feeling much better. The major difference between how it pans it is usually my attitude and frame of mind when listening to the story. So, if you have something to share, always given the listener an option to pass until another day. So there you have it friends -- six things to never say or do and three things I believe are perfectly permissible. On a related note, never ever, ever, EVER --- spread someone's else bad news. Honestly, I was a little shocked in this process that this even happened, but it has. If someone tells you that they've suffered a miscarriage, just assume you have been told that in confidence. There may be an unspoken rule that you can tell your spouse, but please don't assume that the woman who shared it with you is necessarily telling the whole world yet. She might be, but she might also like to keep it quiet, or perhaps share with individuals on her own terms. It is never your right to tell her other friends, or yes... even her other family members. Geesh! I would think this one is self-evident, but apparently not. So, have you ever accidentally said the wrong thing? 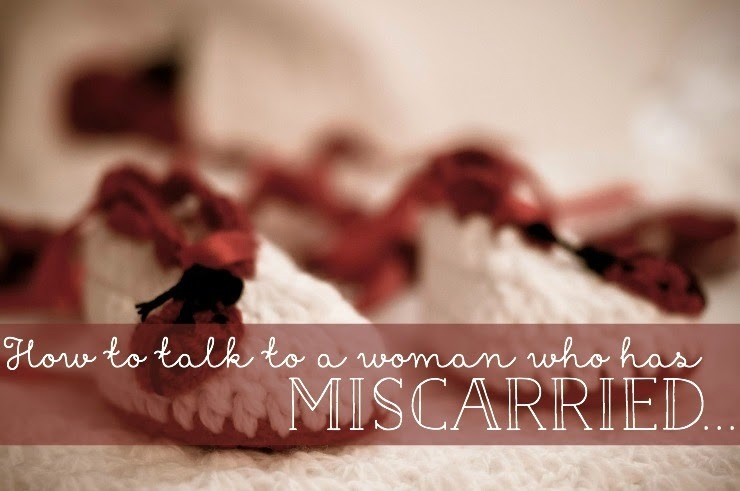 Or, if you've suffered a miscarriage, what was the worst thing said to you? I've been praying for you, Kate. It baffles me that anyone would say these things to you or any woman who has experienced a similar situation! Just wanted to say my heart goes out to you and your husband. I am so very sorry for your loss. It always surprises me the questions or statement people will say that are just so inappropriate and quite frankly, none of their damn business if you don't divulge it on your own! Wow, this is a helpful guide for people looking to be supportive. I'm really sorry for your experience and I'm so glad you're sharing this with people. Thank you... this must have been hard for you to write. Well said my friend. Well said. I will be referring people to this post when they get out of hand with me. i appreciate you sharing this because i do think you're right that people come from the right place with the right intentions but that's not necessarily helpful. continuing to think of you! My brother and his girlfriend miscarried this past Monday, so when I saw your post title I clicked immediately. Honestly, this week has just been HARD. They're devastated, our family is devastated for them, and no one, including them, knows how to handle everything. I think everyone is different and everyone handles grief and personal tragedies differently, but one thing I've learned this week is just being there is sometimes enough. I now, unfortunately, have a new perspective and I feel for you and Adam more than ever. So I'm thinking of you and wishing I had the magic words to make everything better. Thank you for this post. It hurts me that you're hurting so. I cannot imagine how you possibly feel right now, but I truly appreciate that you are willing to share what you are comfortable with sharing with all of us. I really wish there was something I could do to comfort you, but I know there isn't. Seriously the amount of things the nurses said to us was so dishearting. When we had ours they said the same thing, and telling us to continuing to practice like that was suppose to make things better. Only a few people really know about ours because I am actually pretty sure that I would be a mess. I'll just say, I've suffered a miscarriage and if you ever need to talk to somebody I'd be a listening ear. I'm new to your blog and wasn't aware of your loss. I'm so sorry sweetheart. Also? Being a mother now I can tell you that you'll never forget your first miscarriage/baby. I struggled a long time when people would ask "is this your first" when I was pregnant... I felt like I was lying by saying it wasn't, but it felt too personal to share that I suffered a miscarriage. People say stupid things, they think they are being comforting when they aren't. Just remember they are trying to come from a good place even when their advice/words sting. Again, I'm here as a total stranger if you ever need to talk. WHOA. People did NOT ask for details for real? Because RUDE. Like, so rude. I know that hard news can be disarming and awkward to share, but sometimes I just don't understand how people react AT ALL. And, well, that's just me being my own version of immature. I love you. And I'm thankful for you and your story and your voice. It brings so much joy and solace to me even if you're not feeling so joyful and solace-giving. If you ever want to talk, I will listen, thats what bloggy friends are for! I just found you today because Ashley suggested you to me. First off let me say I am so sorry for your loss, I miscarried back in July and it was one of the worst moments of my life. Everything you said in this post hit it right on the head, I was so sick of hearing (and still hearing since I've been having trouble conceiving since), "oh at least you got pregnant". want to send me into a murderous rage? say that to me, haha. either way, nice to "meet" you and if you ever want to chat with someone who's going through it right now too, I'm here. New follower here:) I struggle with this stuff... But in a different way. 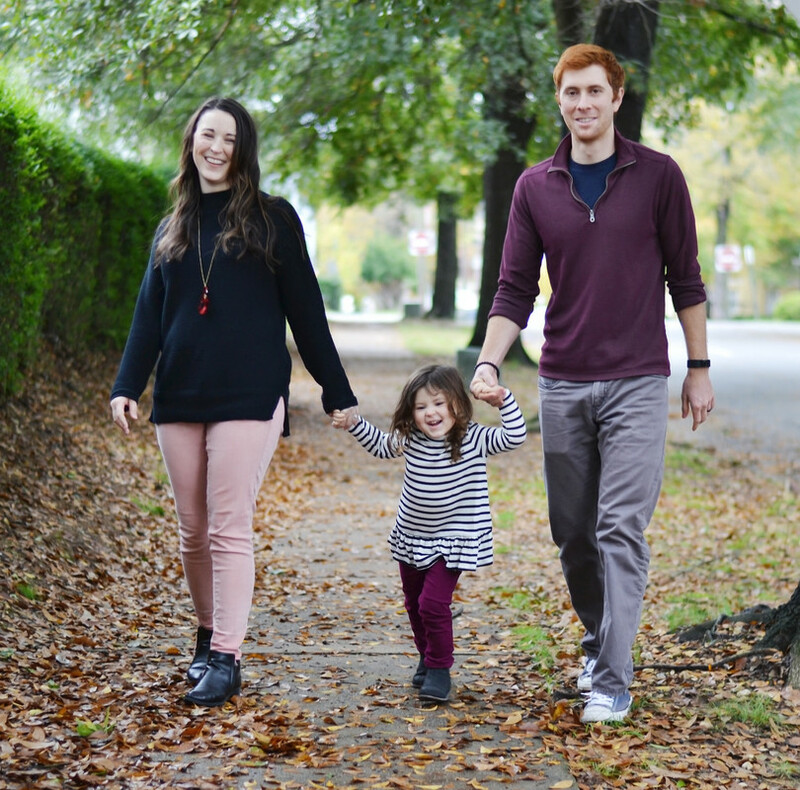 My husband and I struggle with infertility and I recently had someone say "Wow. Well at least I've had a miscarriage and can get pregnant... You don't even have that!" I guess the journey to get pregnant is a difficult one, for anyone! I hope you get good news soon. You have been, and will continue to be, in my prayers. This is a crappy thing to have to go through, I've been there. Eventually things will look brighter. And this post is a must read for every.single.person. on the planet. I can totally relate to some of the rude comments and questions. I am late to commenting, but your posts have helped me so much lately and this post was something my husband and I kept talking about because it's so true that most people don't know what to say. A lot don't know how hurtful their words can be, a lot of people would benefit from reading this! !